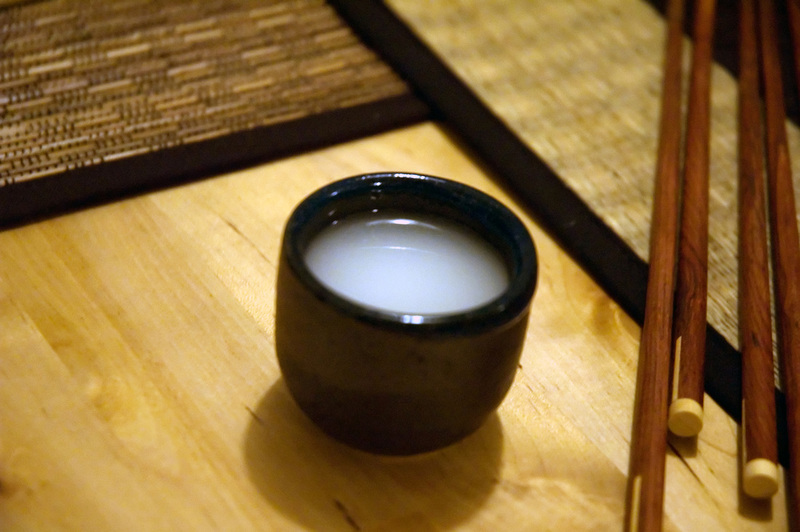 ​sake or saké is a japanese rice wine made by fermenting rice that has been polished to remove the bran. unlike wine, in which alcohol (ethanol) is produced by fermenting sugar that is naturally present in grapes, sake is produced by a brewing process more like that of beer, where the starch is converted into sugars, before being converted to alcohol. the brewing process for sake differs from the process for beer in that, for beer, the conversion from starch to sugar and from sugar to alcohol occurs in two discrete steps. 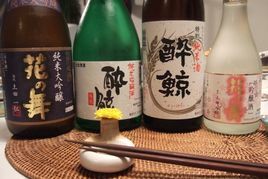 like other rice wines, when sake is brewed, these conversions occur simultaneously. furthermore, the alcohol content differs between sake, wine, and beer. 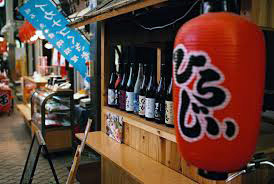 wine generally contains 9%–16% ABV, while most beer contains 3%–9%, and undiluted sake contains 18%–20% (although this is often lowered to about 15% by diluting with water prior to bottling). saucer-like cups called sakazuki are also used, most commonly at weddings and other ceremonial occasions, such as the start of the year or at the beginning of a kaiseki meal. in cheap bars, sake is often served room temperature in glass tumblers. in more modern restaurants wine glasses are also used, and recently footed glasses made specifically for premium sake have also come into use. sake is sold in volume units divisible by 180 ml. sake is traditionally sold by the gō-sized cup, or in a 1.8 l (one shō, ten gō) sized flask. today sake is also often sold in 720 ml (four gō) bottles – note that this is almost the same as the 750 ml standard for wine bottles, but is divisible into 4 gō. particularly in convenience stores, sake may be sold in a 180 ml single serving glass with a pull-off top. in japan, sake is served depending on the preference of the drinker, the quality of the sake, and the season. typically, hot sake is a winter drink, and high-grade sake is not drunk hot, because the flavors and aromas will be lost. there are gradations of temperature both for chilling and heating, about every 5 degrees, with hot sake generally served around 50 °C (122 °f), and chilled sake around 10 °C (50 °f).